I’ve been editing pictures from my recent trip to Pittsburgh the past two days, trying to think when I could get back to focusing on Raleigh. A winter rainbow forced me to rush out and set up with only seconds to spare. I almost missed capturing this photograph because of the only traffic light between me and this view. 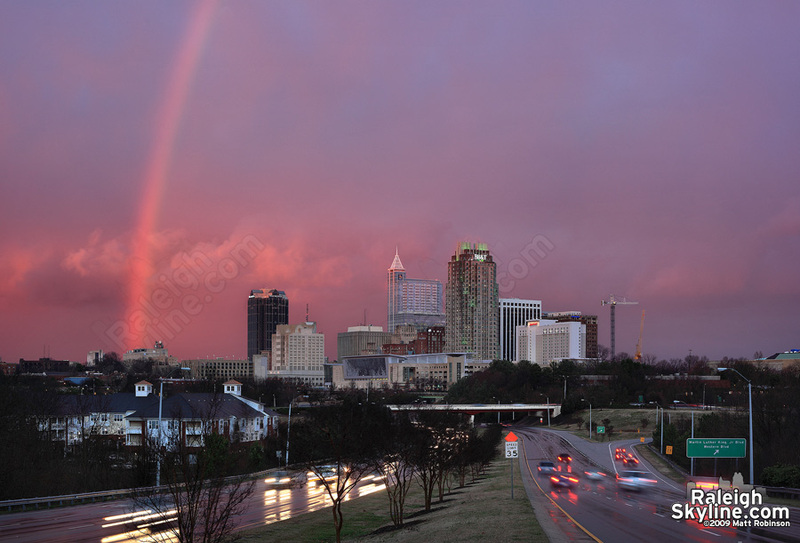 Within seconds the rainbow faded, but I managed to get one shot near its peak; a decent start to 2009 Raleigh photos. 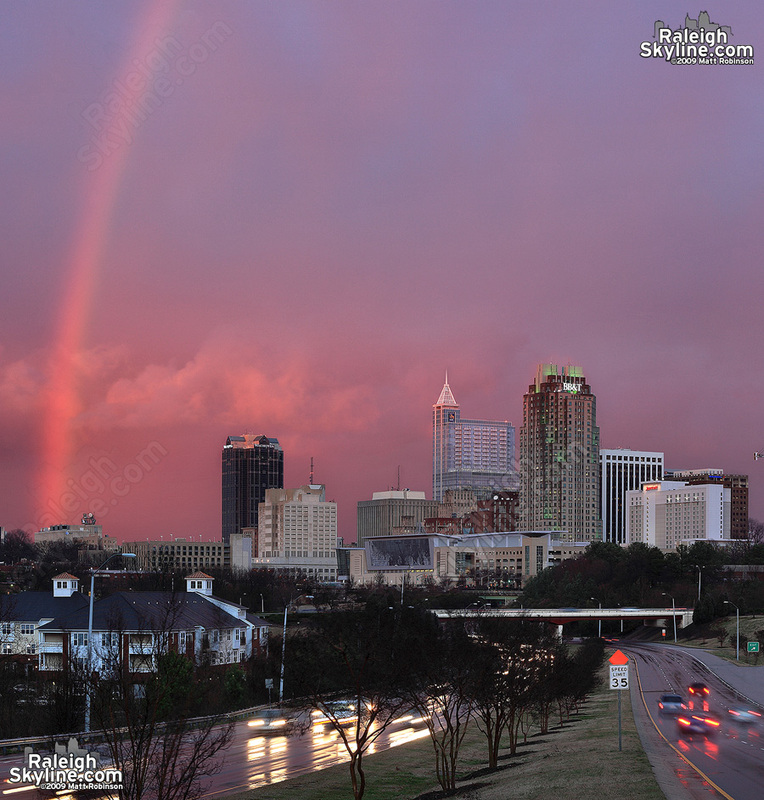 Closer crop of rainbow and Raleigh Skyline.